Home B: Community What To Do: Feeling down? You know what will help? Chocolate. Dull, grey midwinter days can lead to feeling glum but there is an antidote – chocolate. Even a small dose of the brown-colored treat can elevate your mood. And, a mild sugar rush can give you a kick start. 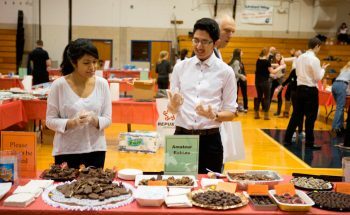 On January 27, the Kennett Chocolate Lovers Festival will be held from 1-3 at Kennett Area High School (100 E. South Street, Kennett Square, http://kennettchocolate.org). Hundreds of chocolate treats, including cakes, brownies, candies, cookies and cupcakes, will be available for attendees to taste at this Festival, which is a benefit for the United Way of Southern Chester County. 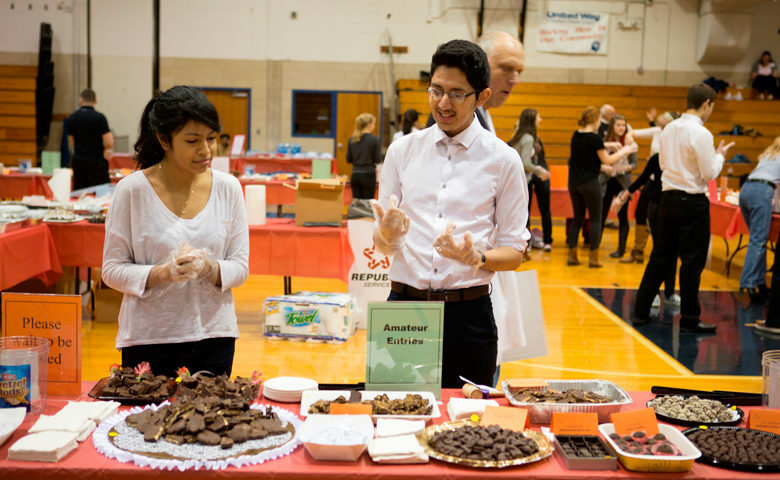 Participants can partake in a fun day sampling as many chocolate delights as they wish. Contestants will vie for awards in the following categories: professionals, amateurs and students (ages 12 up). Last year more than 200 entries were available for tasting by the public and the smell of chocolate permeated the air. VIP tickets are priced at $35 ($55 for two people – online purchase only), includes early timed entry at noon. General admission from 1-3 p.m. is $15 ($50 for family of four – online purchase only) and includes six regular tastings per person. Additional tastings are available for $.50 each. Tickets are available at the door at 1 p.m. Parking for general admission is $5 per car. 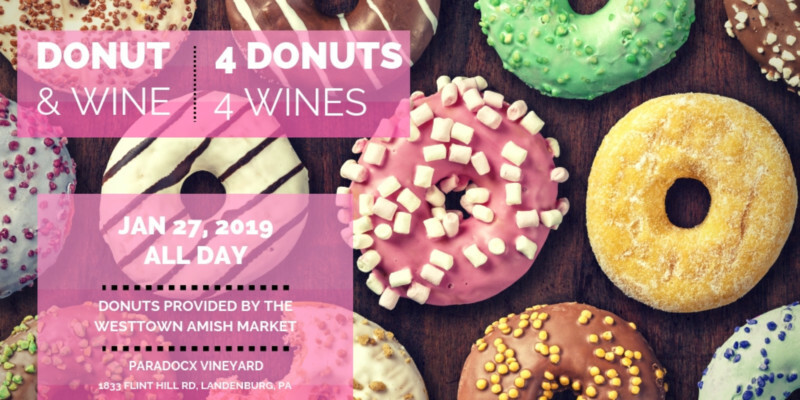 The one-day event will feature four types of locally made donuts from the Westtown Amish Market paired with four of Paradocx’s seasonal wines. Tickets for the “Donut and Wine Pairing” are $35 per person. Last weekend, the third annual “Women’s March on Philadelphia” was staged with great results. This weekend, another event celebrating the women’s movement will be held at the Annenberg Center (3680 Walnut Street, Philadelphia, https://annenbergcenter.org/events). 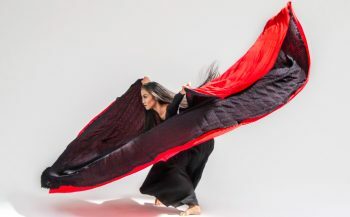 On January 25 and 26, the Annenberg Center is presenting Martha Graham Dance Company’s “The EVE Project.” The Martha Graham Dance Company is one of the oldest and most celebrated contemporary dance companies on the planet. In celebration of the anniversary of the 19th Amendment, which finally extended the right to vote to American women, the Martha Graham Dance Company has announced The EVE Project, a two-year project to commemorate the 1920 ratification of the 19th Amendment, which granted women the power to vote. The EVE Project honors not only the progress of women in the last 100 years, but also provides entrée into today’s most pressing conversations about gender and power. New works from several female choreographers have been commissioned, and the classic repertory will feature both Martha Graham’s heroines and anti-heroines-all with an underlying statement about female power. “We’re doing ‘The EVE Project’ events all around the country – performances and school programs,” said Janet Eilber, Artistic Director of the Martha Graham Dance Company. “It’s the guiding lens for all our work this year. Four of those pieces will be presented in each of the performances this weekend at the Annenberg Center. The first half of the show will feature “Diversion of Angels” by Martha Graham; “Ekstasis” by Martha Graham, Reimagined by Virginie Mecene; and “Deo” (first preview) by Maxine Doyle and Bobbi Jene Smith. The piece after intermission will be “Chronicle” by Martha Graham. “‘Diversion of Angels’ is one of Martha Graham’s most beautiful lyrical works,” said Eilber. “It’s all about love with three couples – yellow, red and white – that could be three different women or three stages of one woman. ‘Ekstasis’ is a solo from 1933. It’s like a piece of sculpture that has come to life. “The piece ‘Deo’ is a work-in-progress. It’s based on a Greek myth and features eight women. ‘Chronicle’ is one of Martha Graham’s greatest works. It’s a full company, all-women cast that was created in 1936. It’s an anti-war dance. It’s against oppression and fascism with a timeless anti-war message. Video link for “The EVE Project” — https://www.annenbergcenter.org/event/martha-graham-dance-company. Performances of “The EVE Project” are schedules for January 25 at 8 p.m. and January 26 at 2 and 7 p.m. Ticket prices range from $29-$78. With very cold weather in the forecast, it will be a good weekend to head inside and enjoy a stage performance. 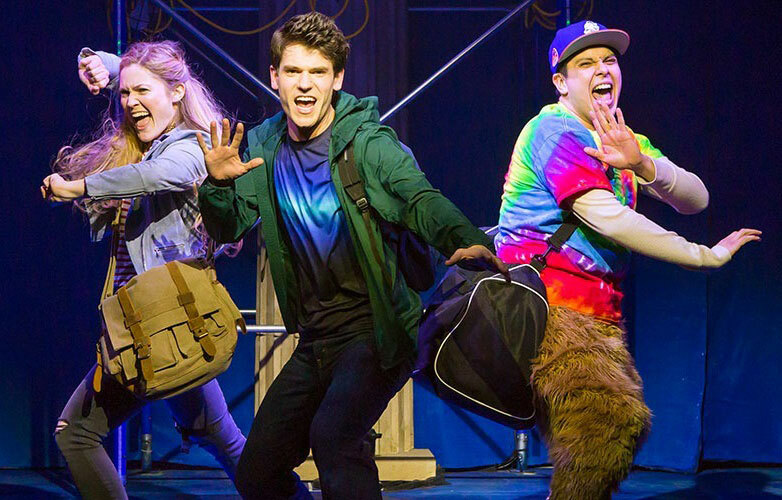 Now through January 27, the Merriam Theater (250 South Broad Street, Philadelphia, 215-893-1999, www.kimmelcenter.org) is presenting “The Lightning Thief – The Percy Jackson Musical” as part of the Kimmel Center’s Broadway Philadelphia series. “The Lightning Thief: The Percy Jackson Musical” is a 2017 musical with music and lyrics by Rob Rokicki, and a playbook by Joe Tracz. Based on the 2005 fantasy-adventure novel of the same name, the musical follows Percy Jackson, a teenager who discovers that he is the son of gods and suddenly has powers he can’t control. The teen goes on an epic quest to find Zeus’ missing lightning bolt and prevent a war between the Greek gods. Video link for “The Lightning Thief – The Percy Jackson Musical” – https://youtu.be/vkYxgC_aaJ0. 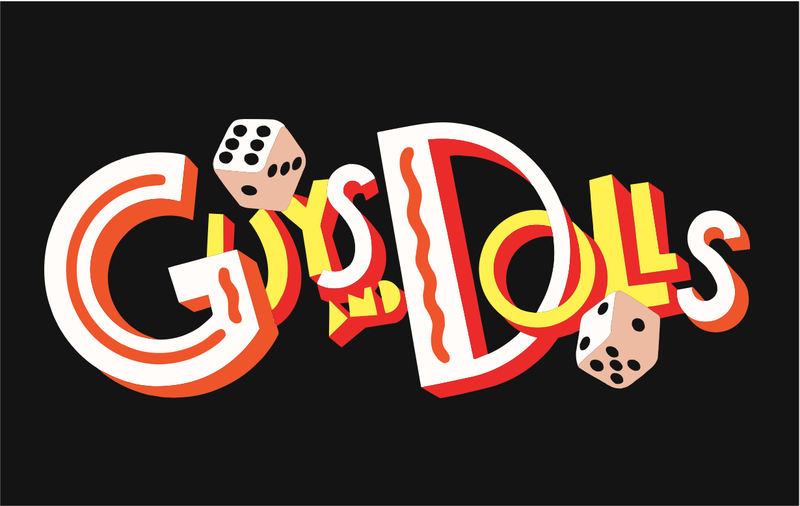 The show at the Merriam Theater is running now through January 27. Ticket prices range from $29-$99. The classical musical opened on Broadway in 1950 and won the Tony Award for Best Musical. Performances are Friday and Saturday evenings (doors 6 p.m./show, 8 p.m.) and Sunday afternoons (doors, 1 p.m./show, 3 p.m.). Tickets, which include dinner and show, are $63 for adults and $33 for children (ages 4-12). 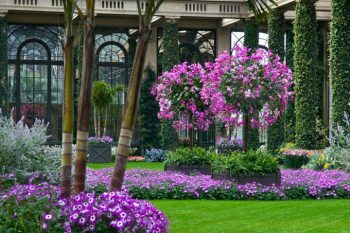 Every year when January arrives, Longwood Gardens (Route 1, Kennett Square, 610-388-1000, www.longwoodgardens.org) celebrates the ultra-popular plant during “Orchid Extravaganza” — an annual event that is running through March 24. As one of the first plant collections at Longwood, orchids have held a place of distinction since 1922. 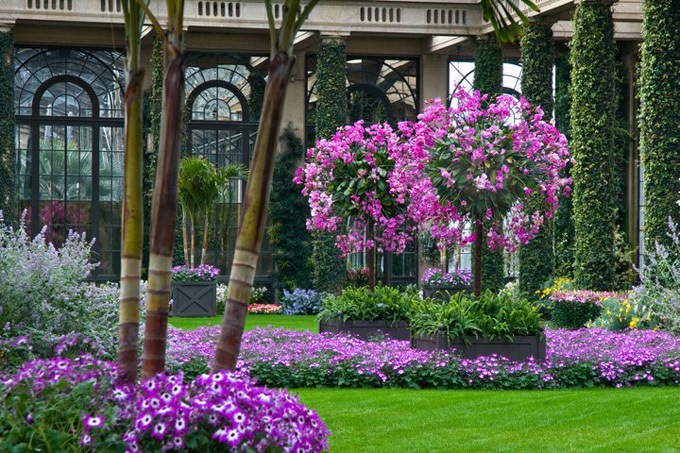 The site’s talented horticulturists celebrate the beauty and variety of orchids with an artful display that includes a towering 12-foot-tall archway, a spectacular orchid curtain, and hundreds of vibrant Vanda orchids adorning the Silver Garden. Approximately 5,000 colorful orchids hang from baskets, create inspiring arrangements and adorn unique forms throughout “Orchid Extravaganza.” Those who visit the floral extravaganza in March will have the opportunity to see Longwood Gardens’ rare sky-blue poppies in bloom in the Conservatory during Longwood’s inaugural Winter Blues Festival. Video link for Orchid Extravaganza — https://youtu.be/p-RHNIuf-Ts. 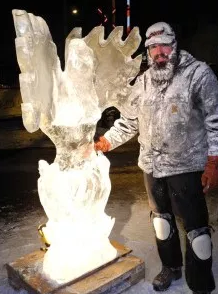 There is a special event this week geared to fans of the cold-weather activities — the 2019 Lambertville-New Hope Winter Festival (Various locations around New Hope, Pennsylvania and Lambertville, New Jersey, 215-862-5067, www.Winterfestival.net). The popular annual event is running now through January 27 in the two towns which straddle the Delaware River in Upper Bucks County — New Hope in Pennsylvania and Lambertville in New Jersey. The festival’s organizers list two main goals — to provide a healthy cold-weather experience in their river town communities and to demonstrate that their diverse communities are alive and well in the winter. The featured concert will be the “British Invasion” on January 25 at New Hope Winery (6123 Lower York Road, New Hope) featuring Peter Asher of Peter & Gordon along with Jeremy Clyde of Chad & Jeremy. Artists will be presenting live sculpting demonstrations at three locations — Triumph Brewing Company (400 Union Square Drive, New Hope) on January 26, and Suez Water (11 Bridge Street, Lambertville) and River Cat Café (142 South Main Street, New Hope) on January 27. Bleak mid-winter days tend to make people cold and hungry. People in cold climates around the world are aware that a great way to get rid of the hunger and warm up is to sit down with a hot bowl of soup. Sweden is definitely a cold-climate country with more than its share of bitter winter weather. As a result, the Swedish people are well aware of the nutritional and therapeutic benefits of hot soup. In recognition of this, the American Swedish Historical Museum (1900 Pattison Avenue, Philadelphia, 215-389-1776, http://www.americanswedish.org) will hold its annual Pea Soup and Punsch Supper on January 26. This Saturday, visitors to the museum in South Philadelphia are invited to shake off the chill and warm up Swedish style with an evening of steamy soup and strong drink. This annual event, which is known as Ärtsoppa och Punschin Sweden, is hosted by the museum’s Pea Soup Committee. Attendees will break bread together over a quintessential Swedish meal of pea soup and punsch, which is a sweet and strong Arrack liquor-based drink. Arrack, a strong Indian liquor, was imported from Java and became the base ingredient for making punsch, which has 25 per cent alcohol by volume and 30 per cent sugar. This hearty meal, which also includes sharp cheese, bread and dessert, is inspired by a tradition that dates back to medieval times. On Thursday nights, the people of Sweden would eat this filling meal before beginning the weekly Friday fast. Tickets for the Pea Soup and Punsch Supper are $30 each. 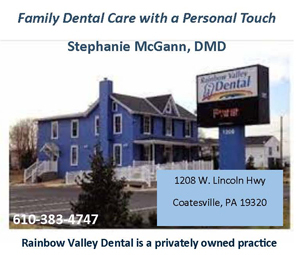 Reservations are recommended and can be made by calling (215) 389-1776.